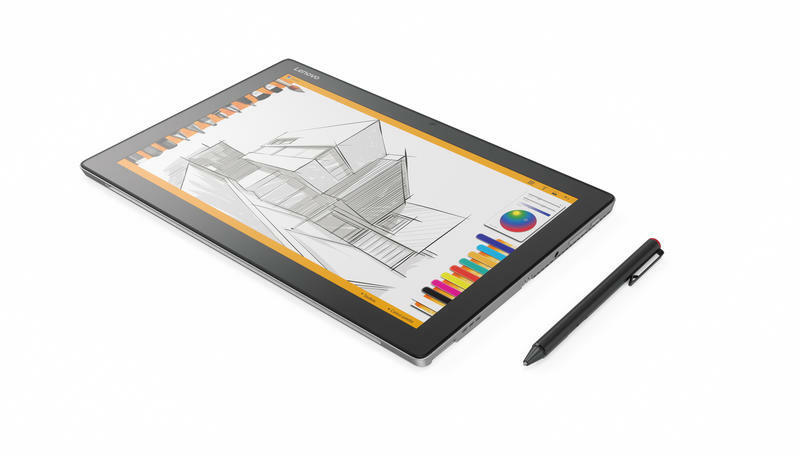 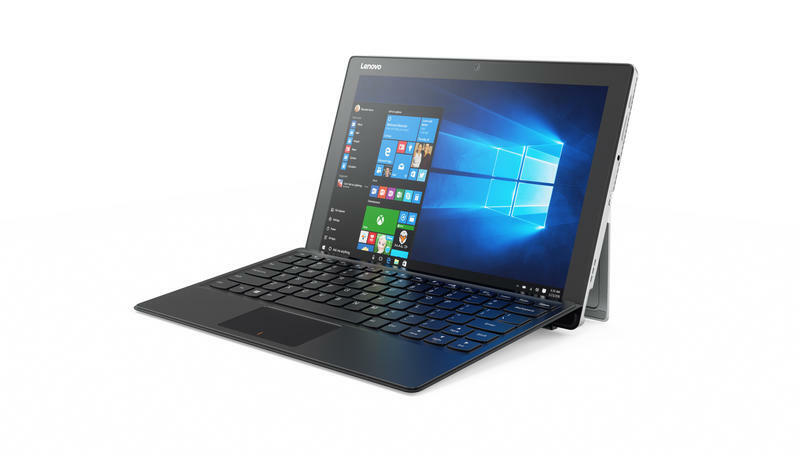 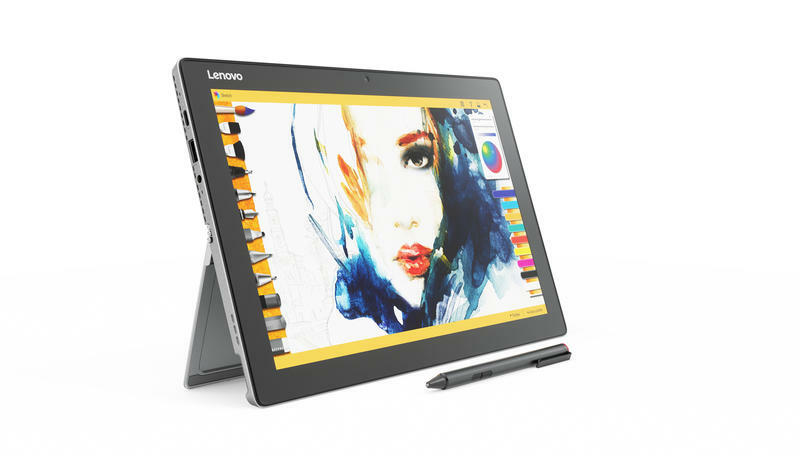 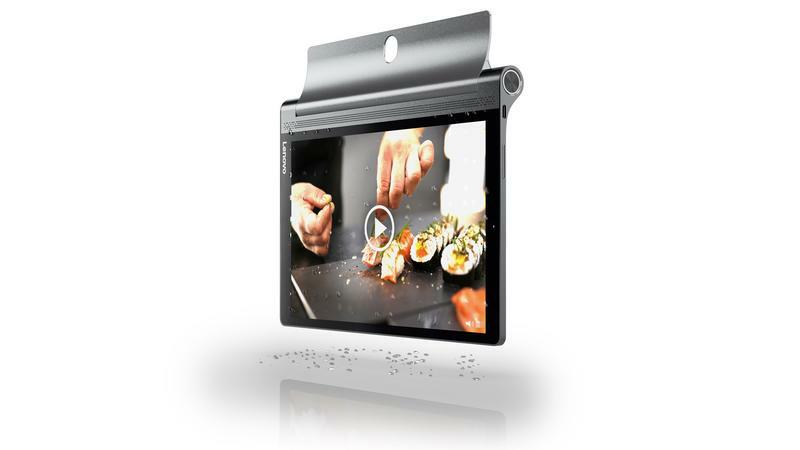 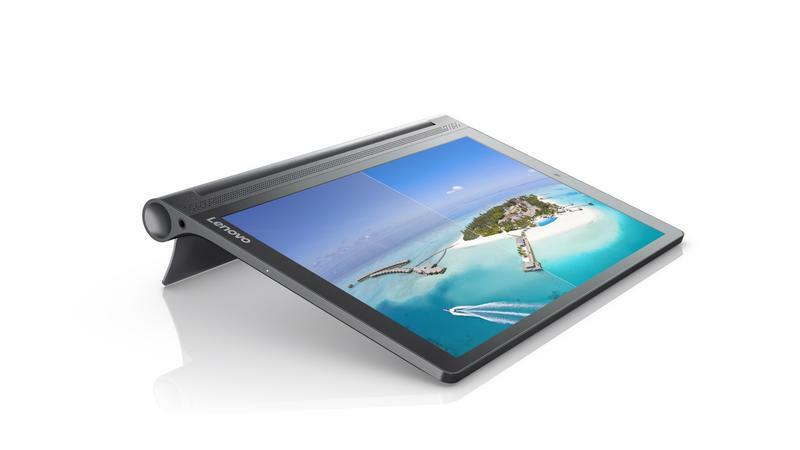 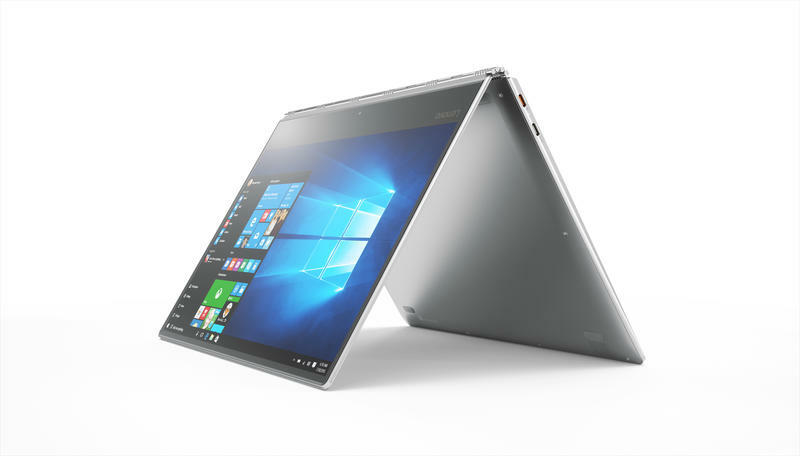 Lenovo’s already pushed the boundaries of tablet design with its Yoga series, marching its devices into laptop territory and packing on exciting new features along the way. 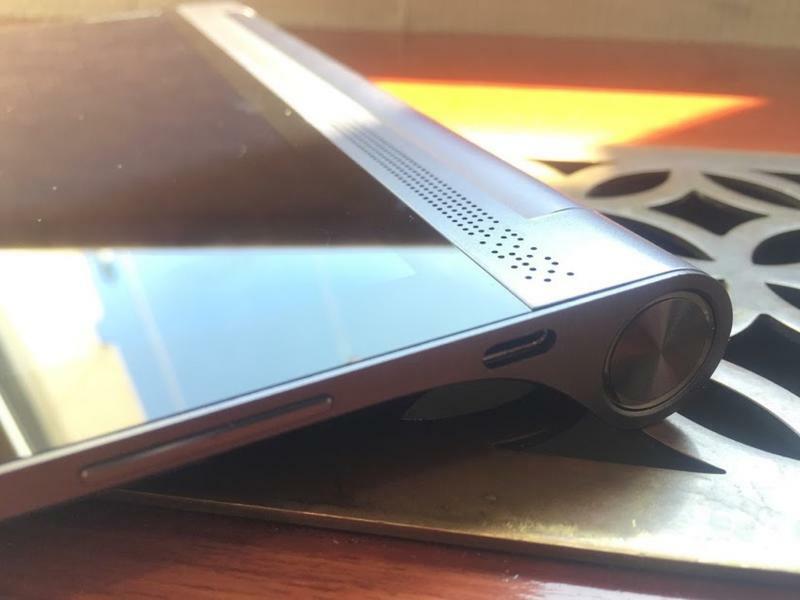 On Wednesday, the company continued that trend with four new product designed to fit every possible situation where your smartphone isn’t big or powerful enough to do the job. 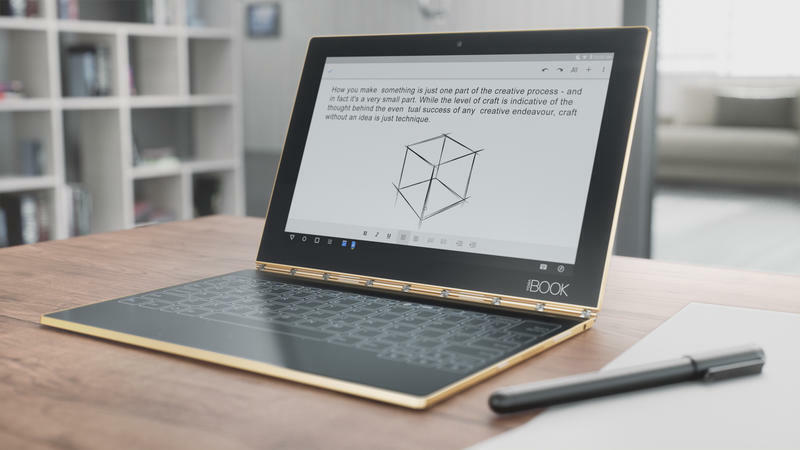 Leading the pack is the Yoga Book, a slick 2-in-1 with a fresh design. 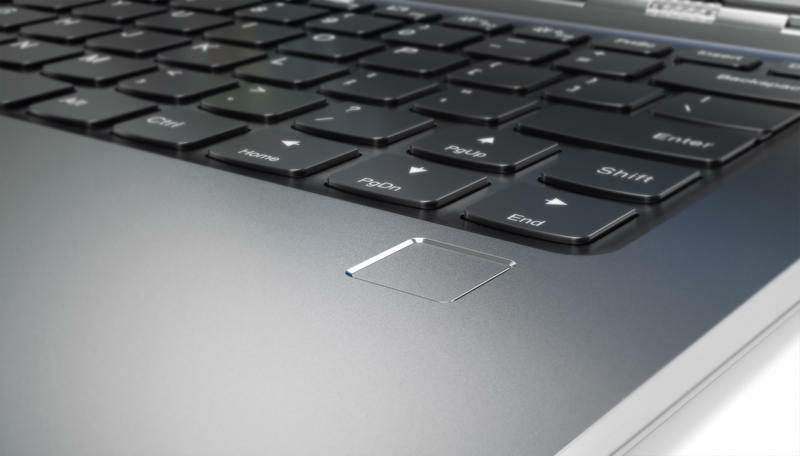 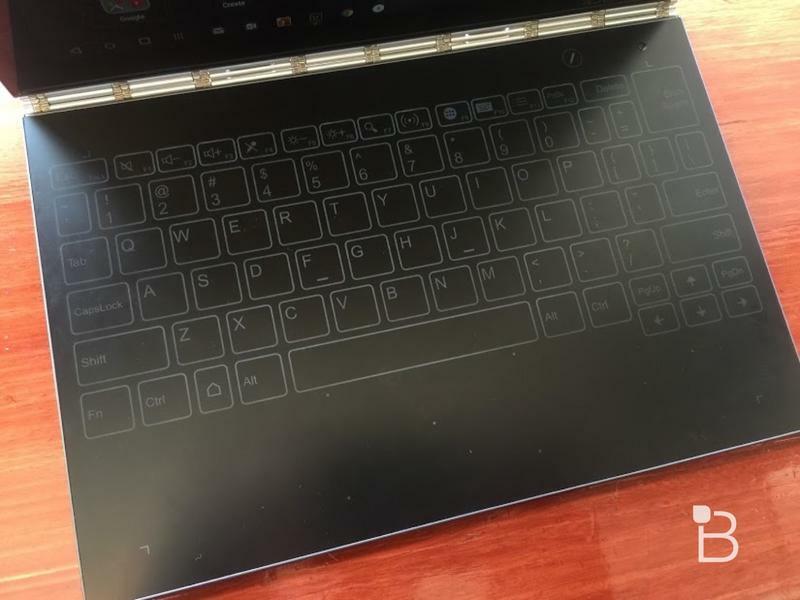 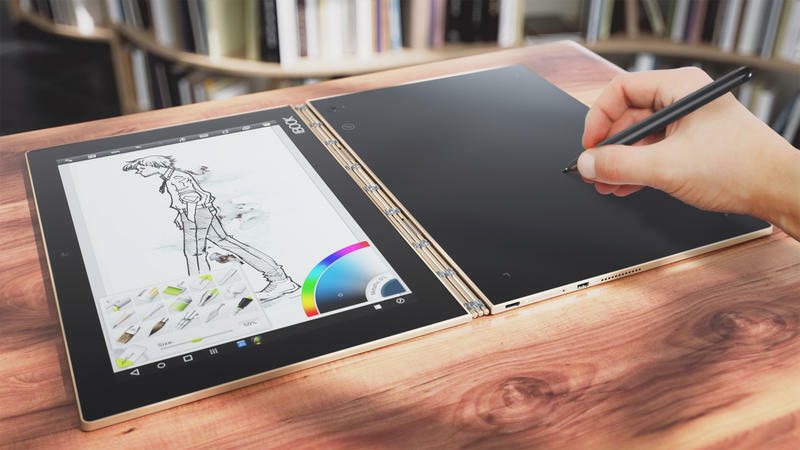 It’s a lightweight 10.1-inch laptop (just 1.52 pounds and 9.6mm thick when closed), but instead of a physical keyboard there’s a capacitive touchpad that lights up with keys for typing or transforms into an open canvas. 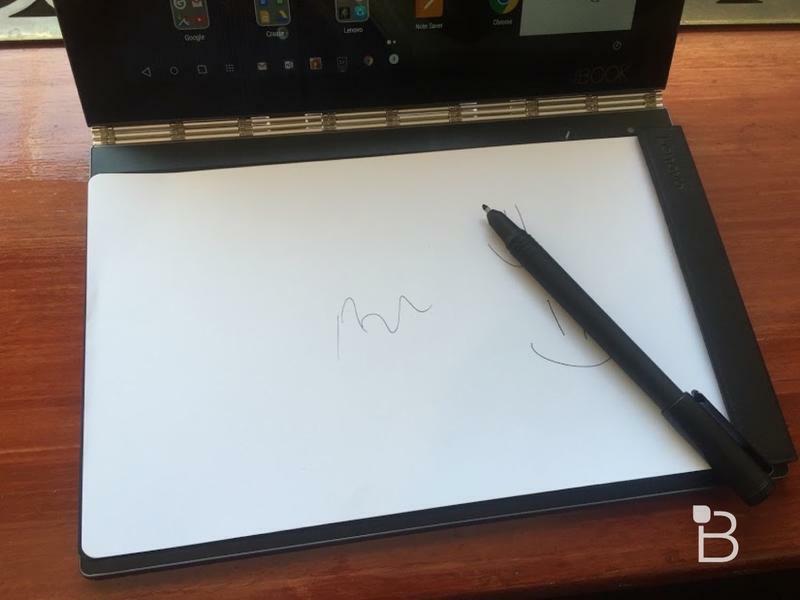 Typing on the glassy surface is tricky (at least at first), but drawing with the company’s real-pen stylus was fun and intuitive. 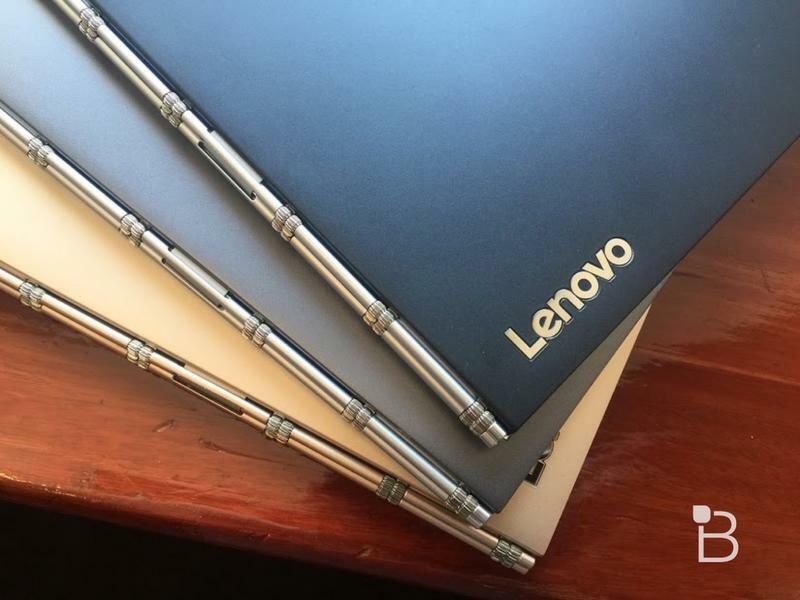 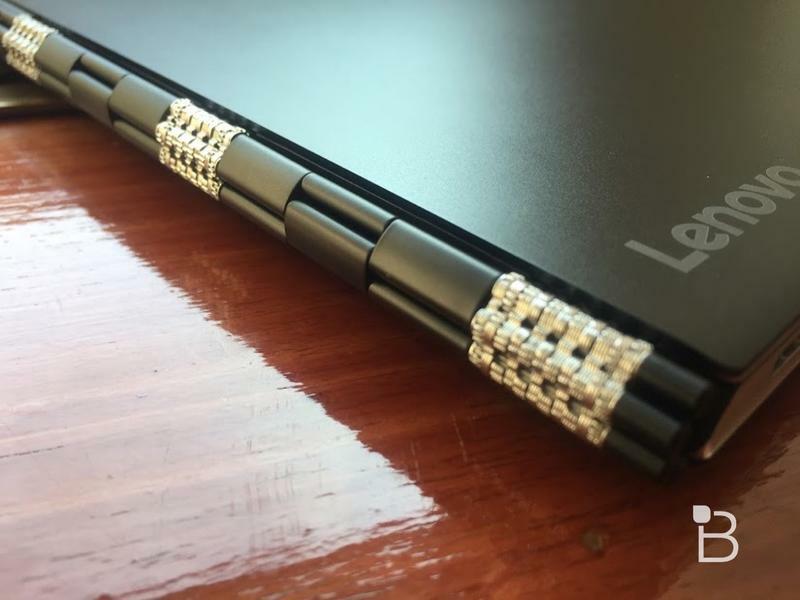 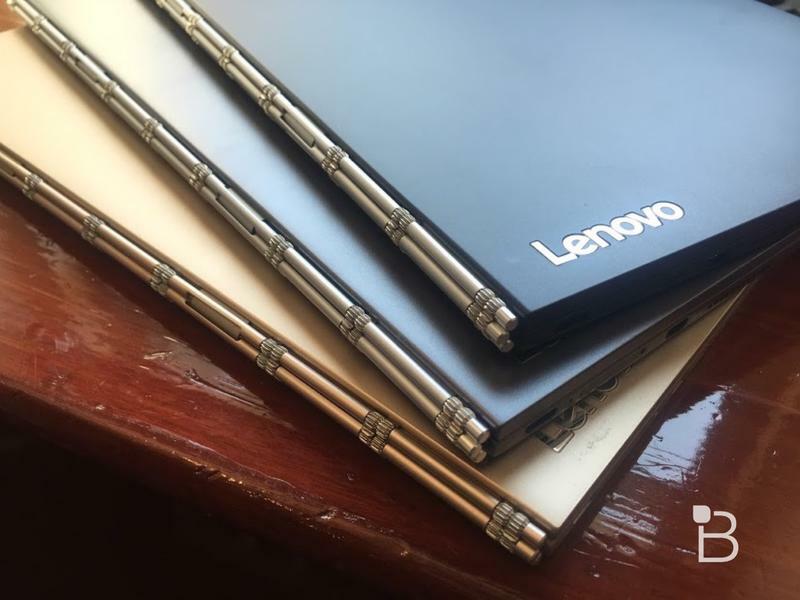 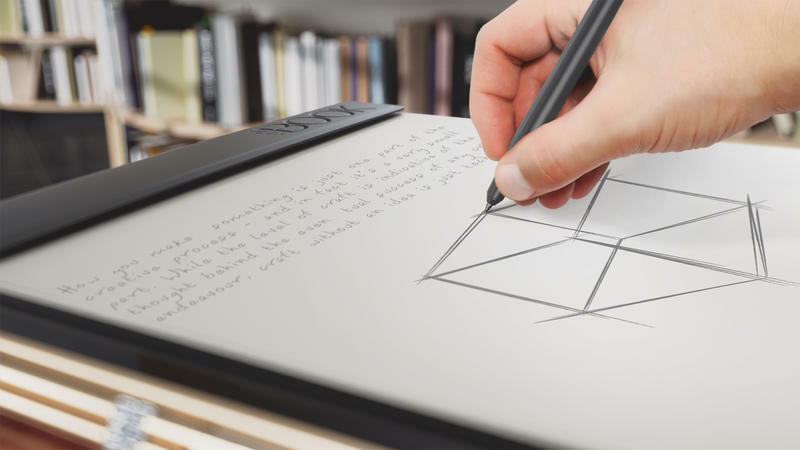 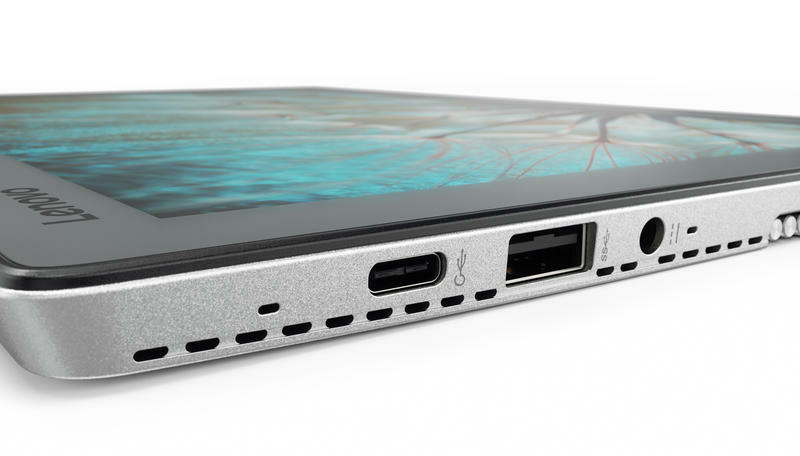 You can even switch the stylus tip with a regular ink version, and Lenovo is throwing in a notepad that attaches magnetically to the Yoga Book. 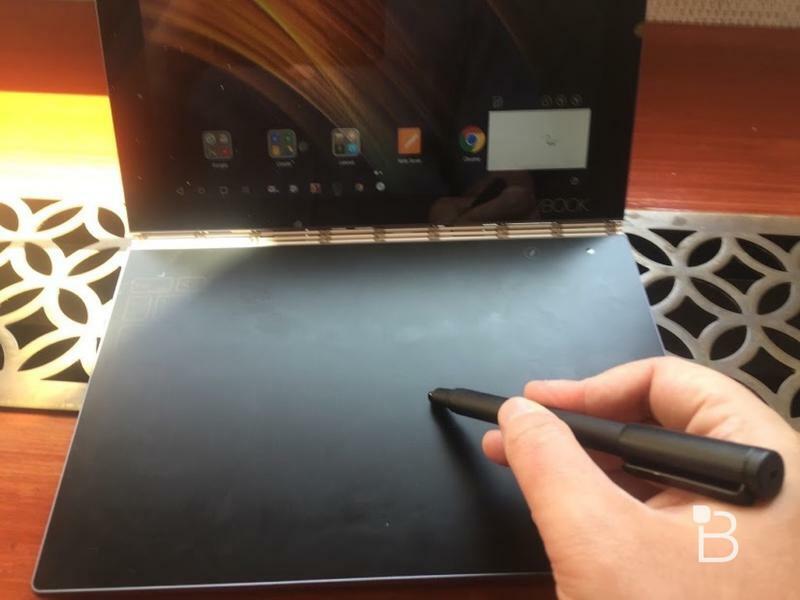 Start drawing on the paper and you’ll see the same image recorded simultaneously onscreen. 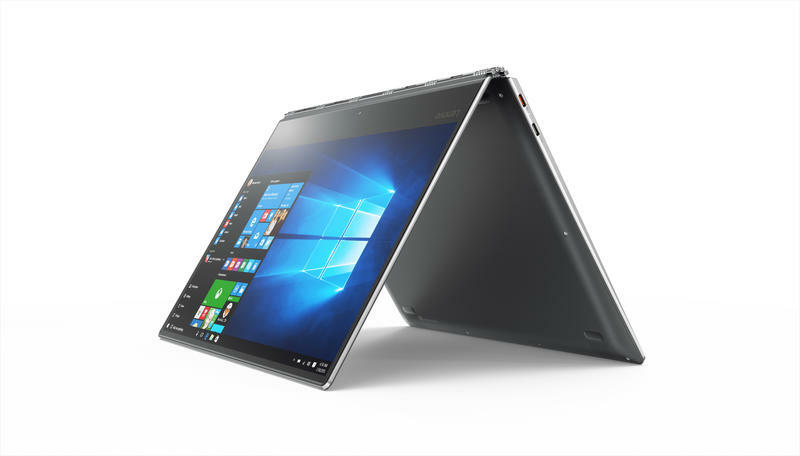 The Yoga Book also boasts a 15-hour battery life, a 1080p display, 64GB of storage and Dolby Atmos speakers. 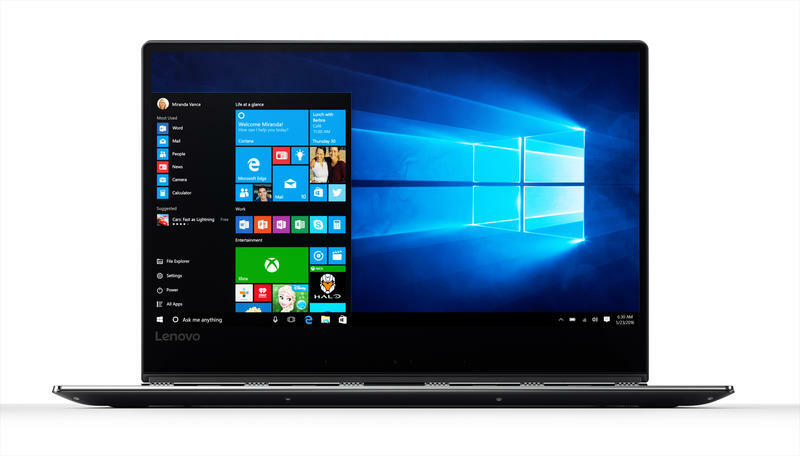 It launches in October and comes in two versions running either Android 6.0 for $499 or Windows 10 for $549. 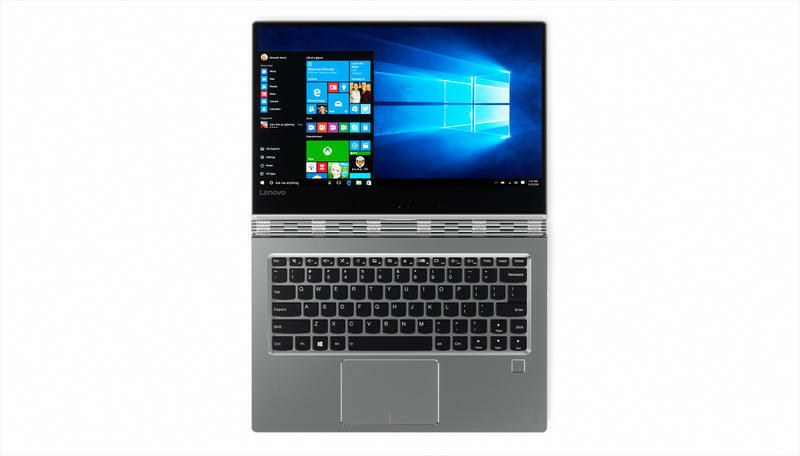 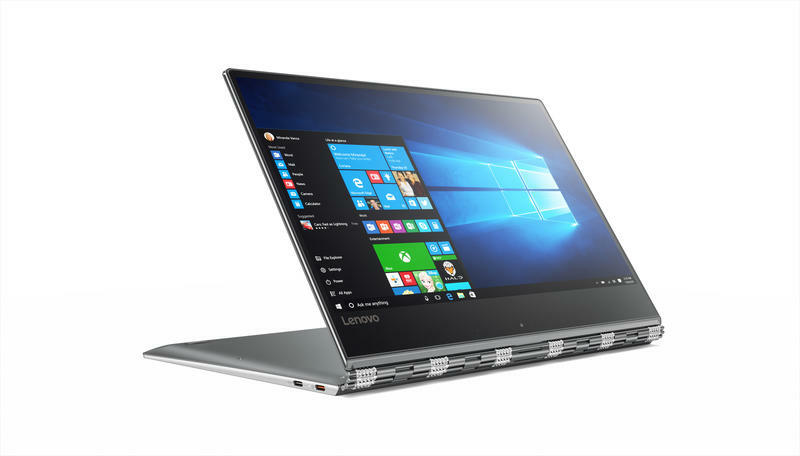 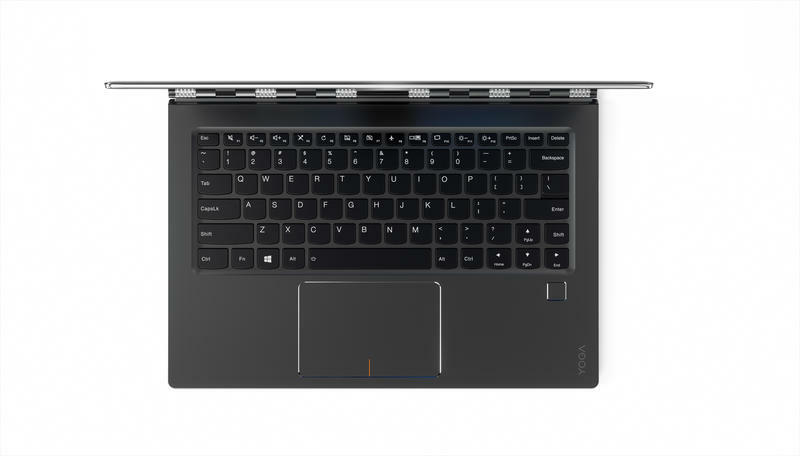 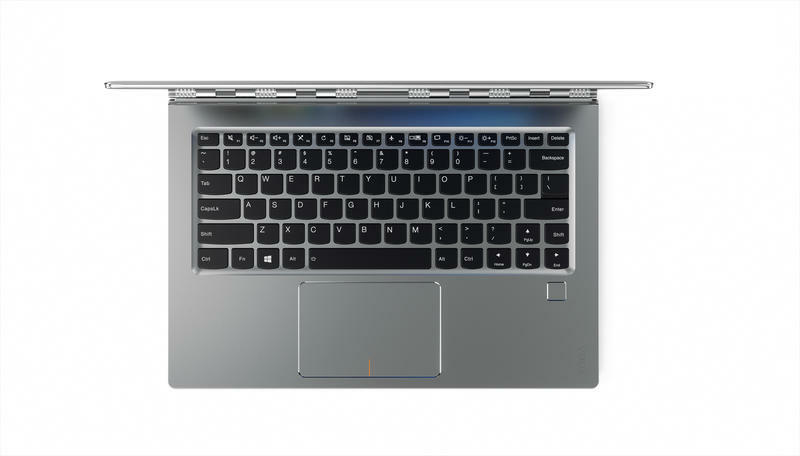 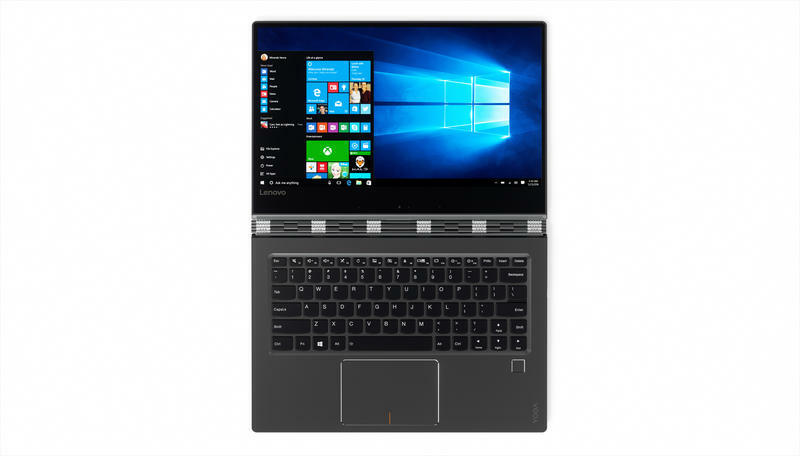 Lenovo is upgrading its Yoga 900 convertible laptop to the new Yoga 910, which sports a built-in fingerprint scanner and Intel’s brand new 7th generation Core i7 chip. 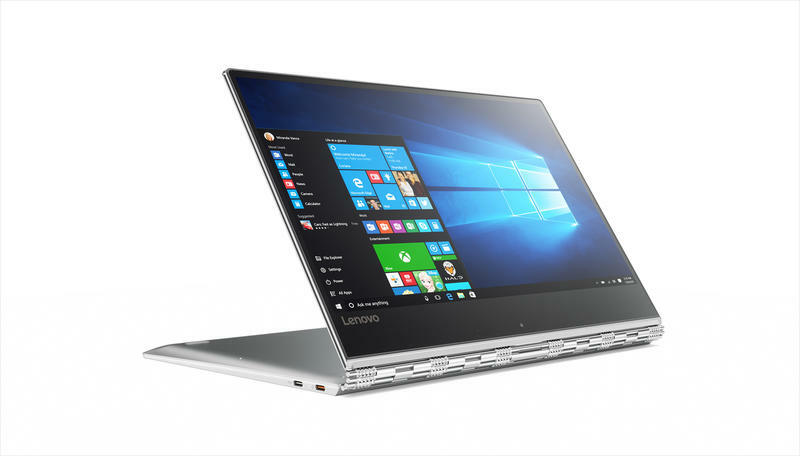 It also packs a larger 13.9-inch display (available in 4K or 1080 options), along with smaller bezels and a 15.5-hour battery life. It runs Windows 10. 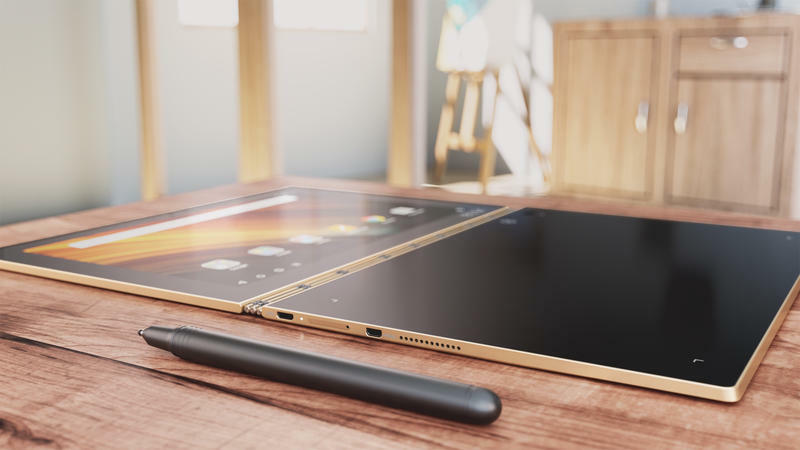 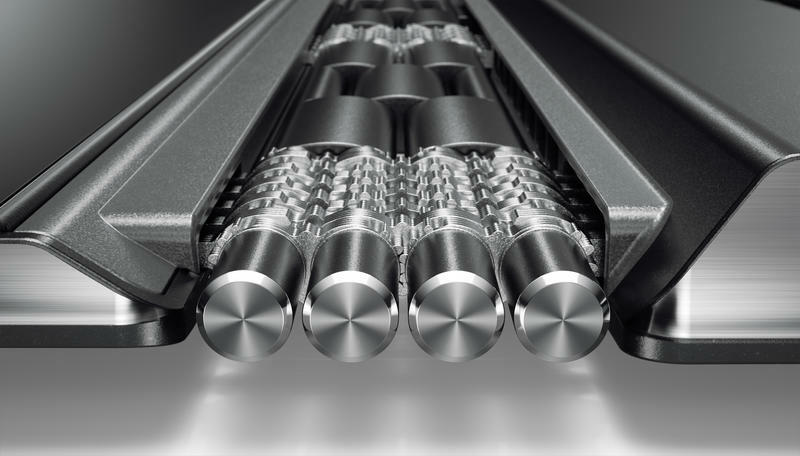 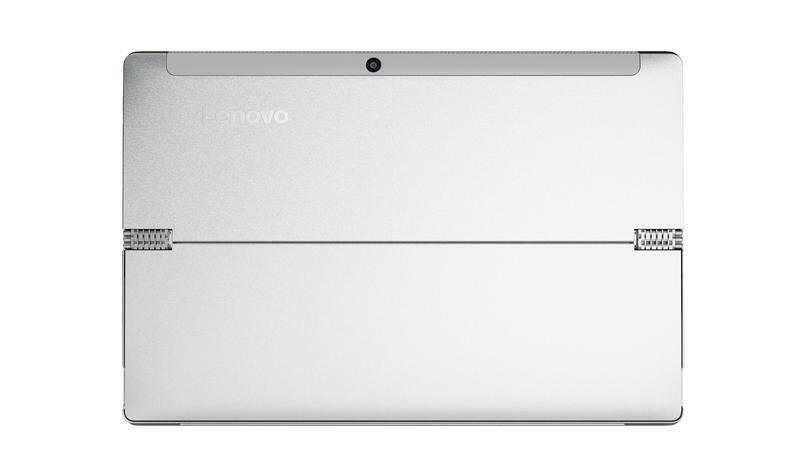 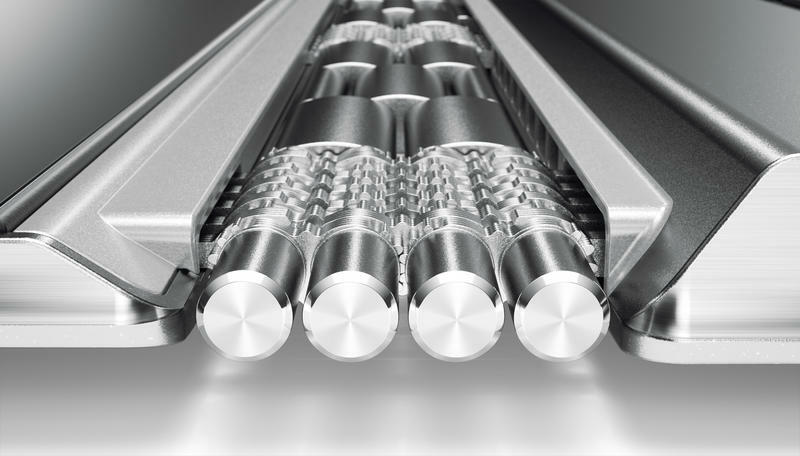 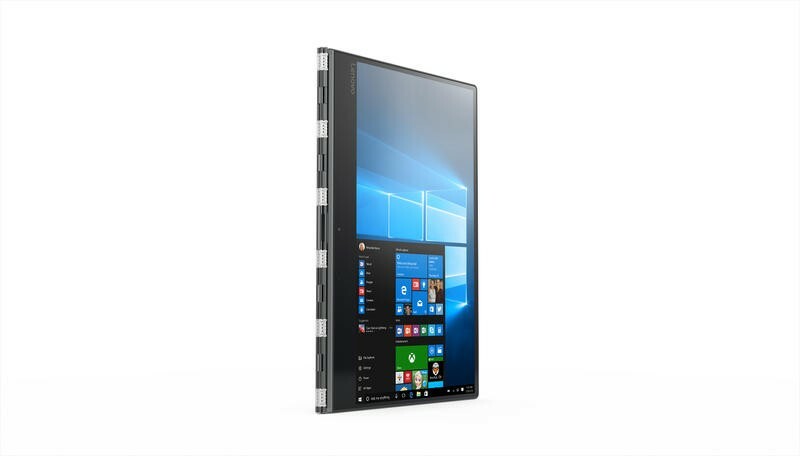 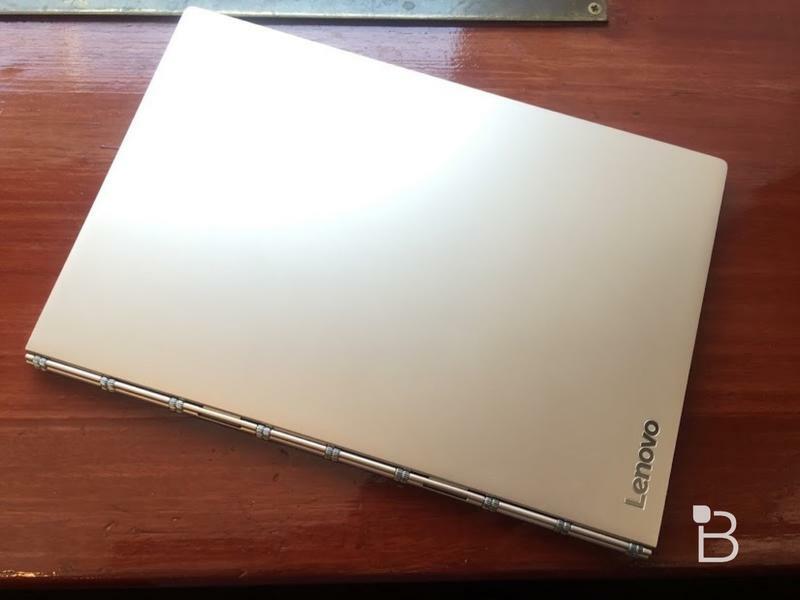 The Yoga 910 features a sleek metal design in gold, silver or gunmetal gray. 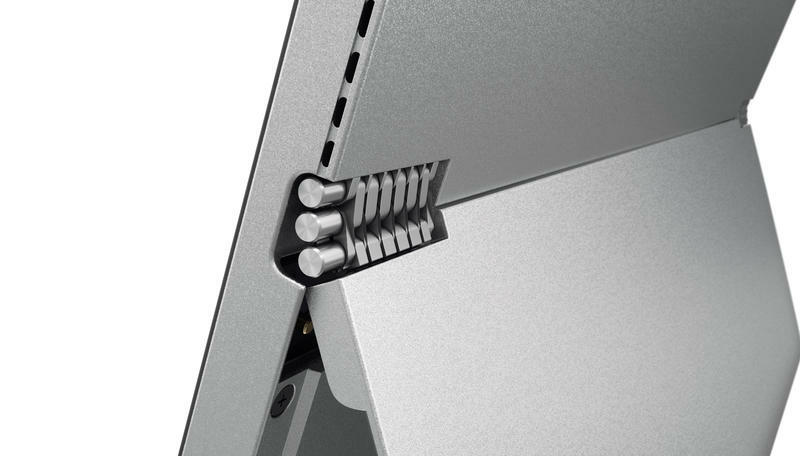 It also comes with that awesome watchband hinge so you can swing the display around for multi-mode use. 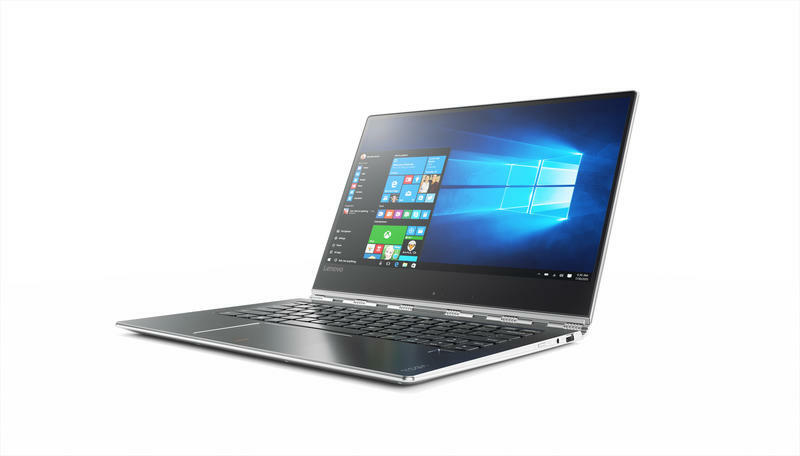 The new laptop launches in October and starts at $1299. 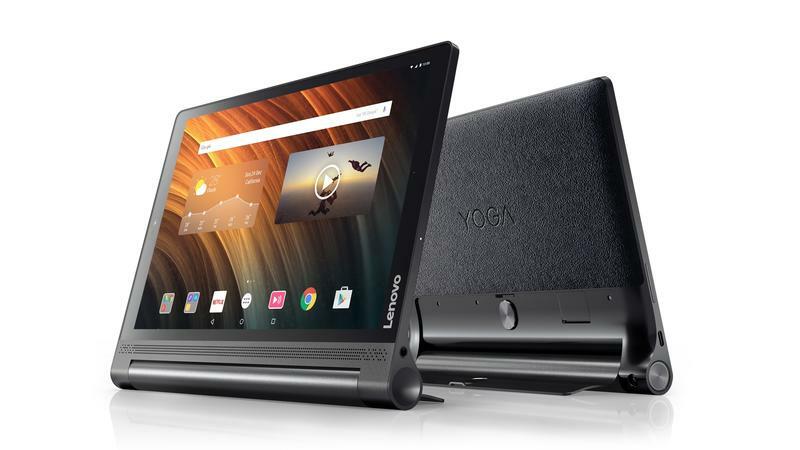 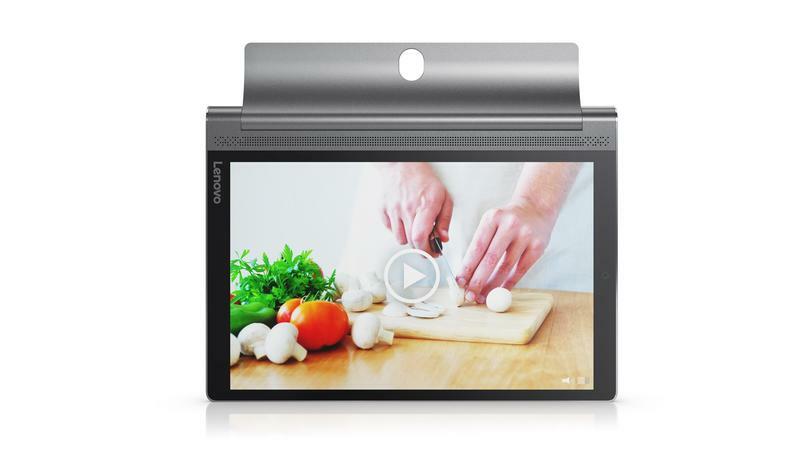 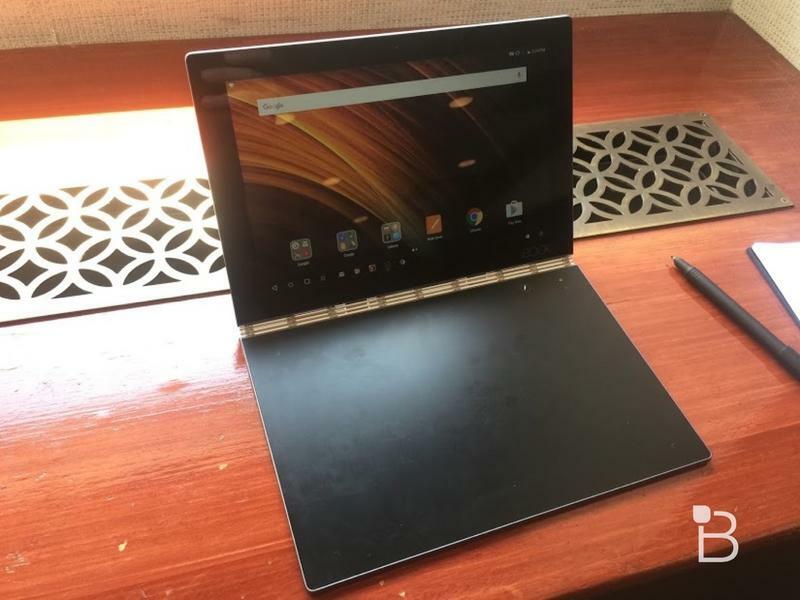 The Yoga Tab 3 Plus is the company’s latest high-end Android tablet, featuring Lenovo’s classic handle/kickstand design. 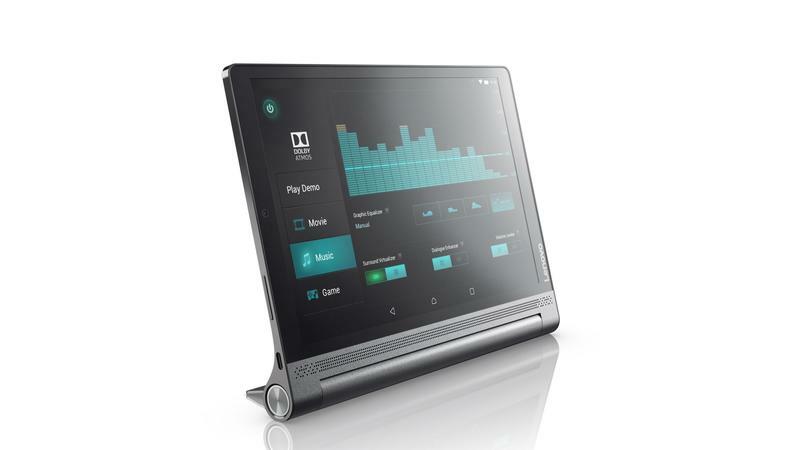 This time, it packs a 10.1-inch 2K display, a hefty 9,300mAh battery that should last 18 hour per charge, and front-facing JBL speakers for powerful sounds. 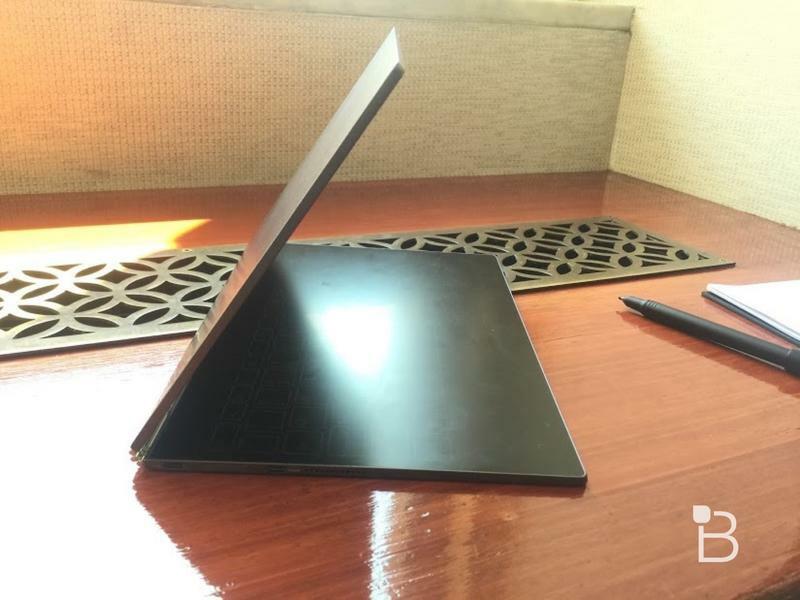 It starts at $299.99 and launches in October. 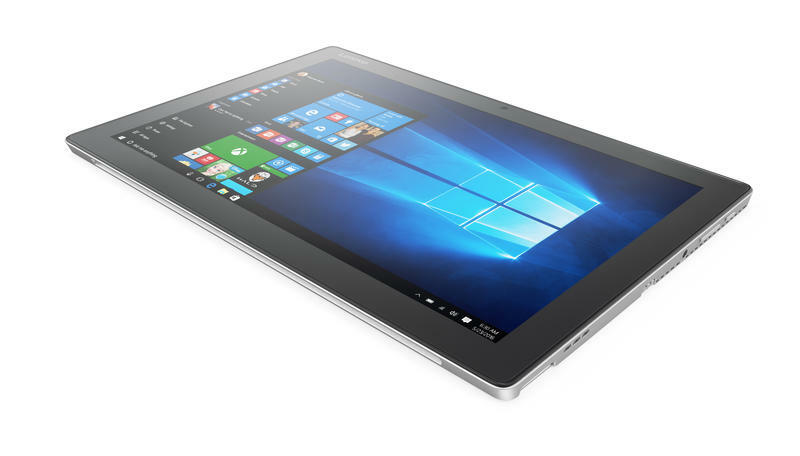 Finally, there’s the Mixx 510, a detachable Windows 10 laptop that looks a lot like Microsoft’s Surface Pro series. 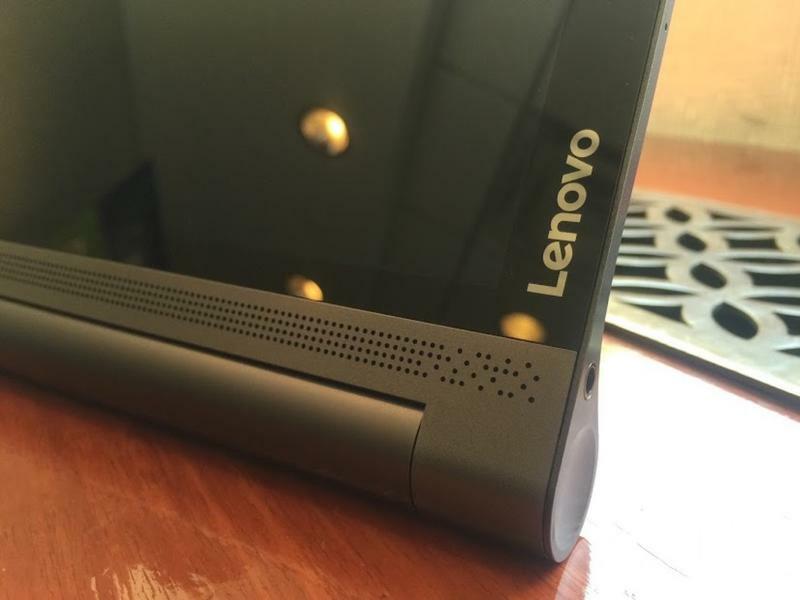 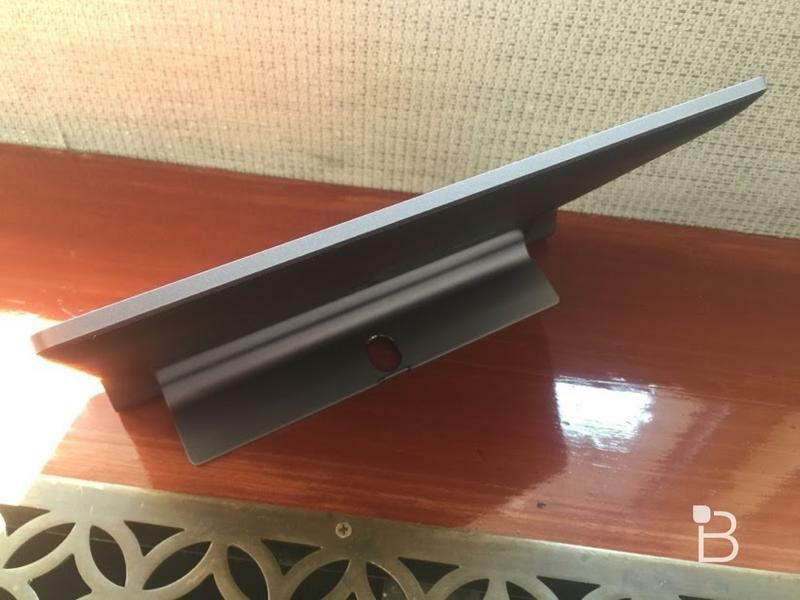 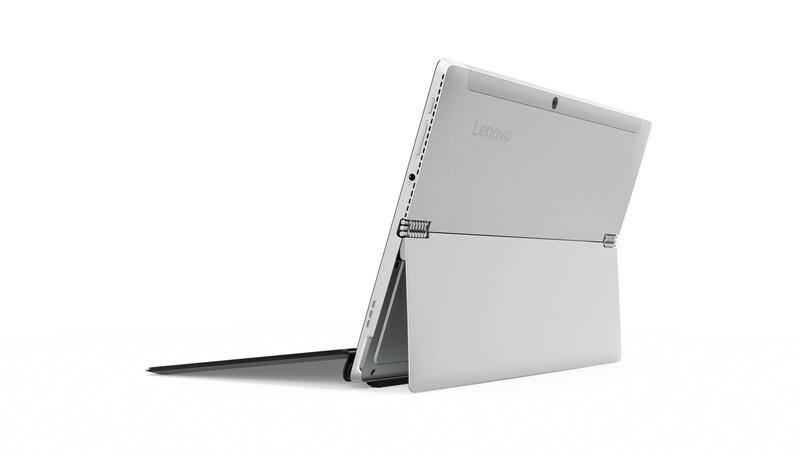 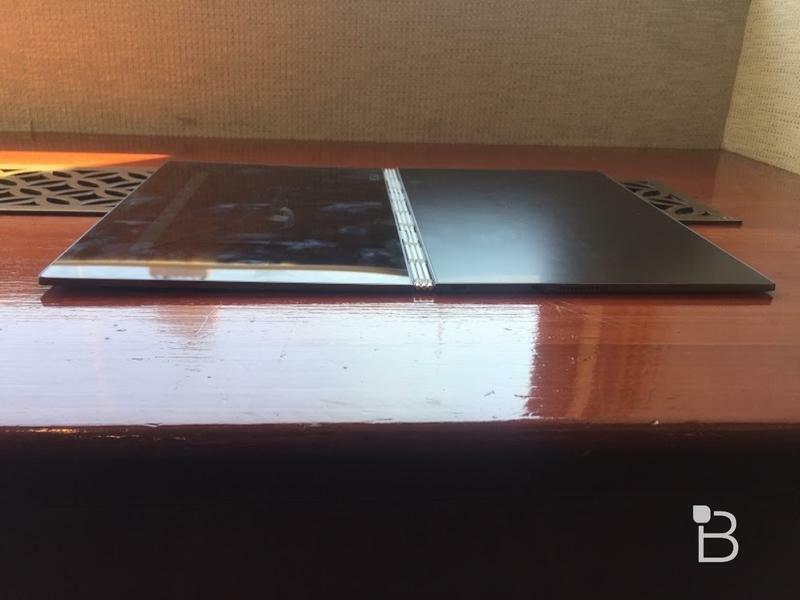 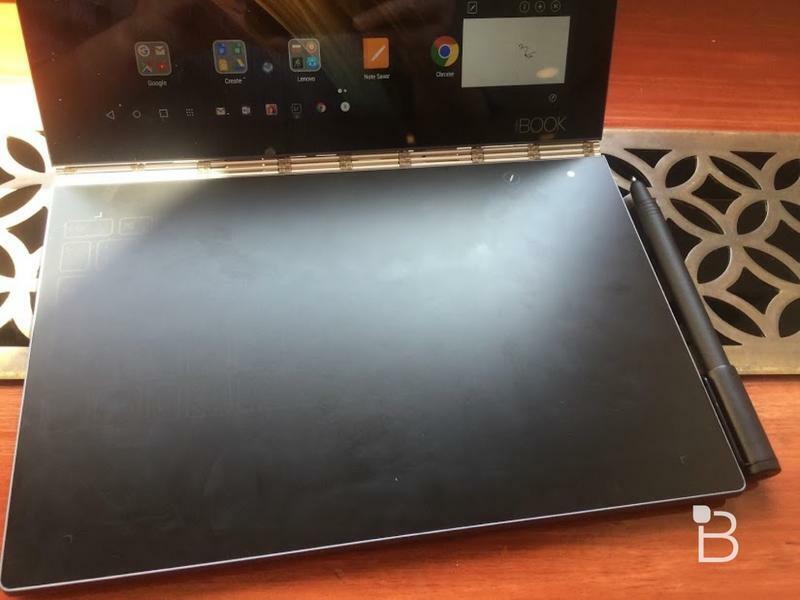 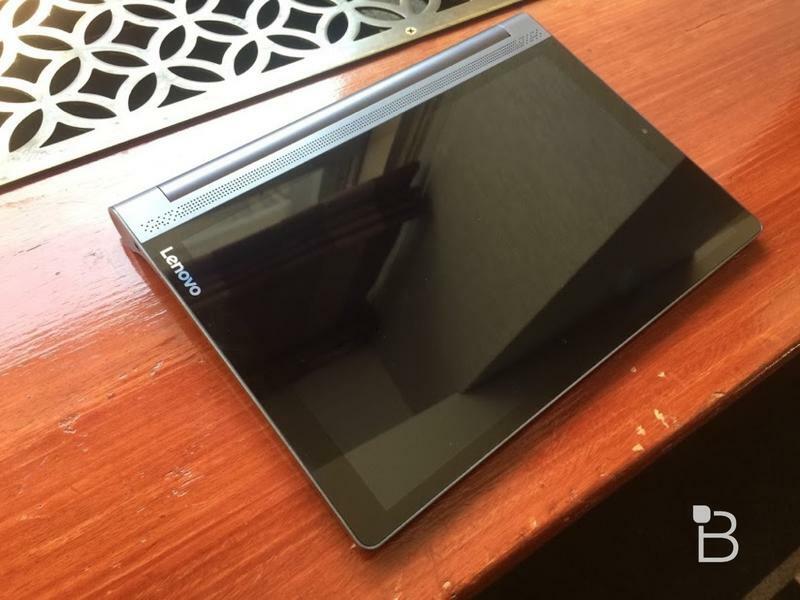 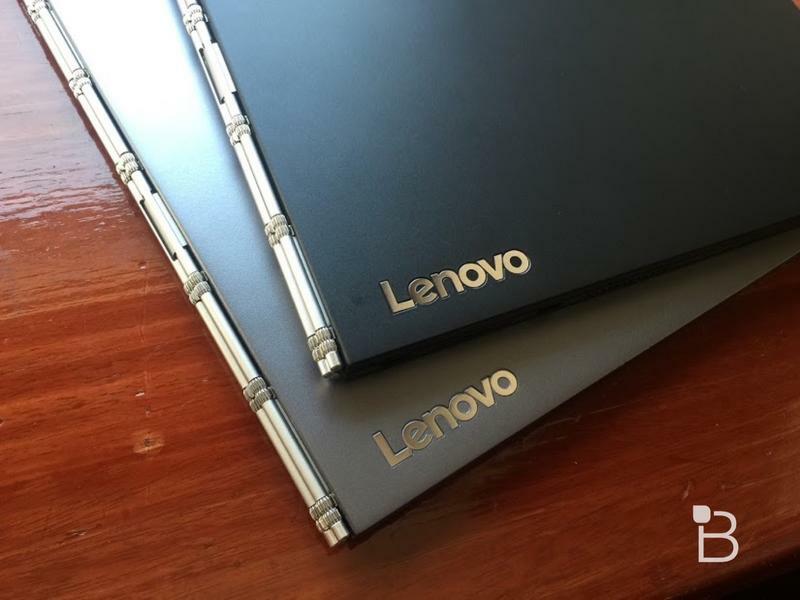 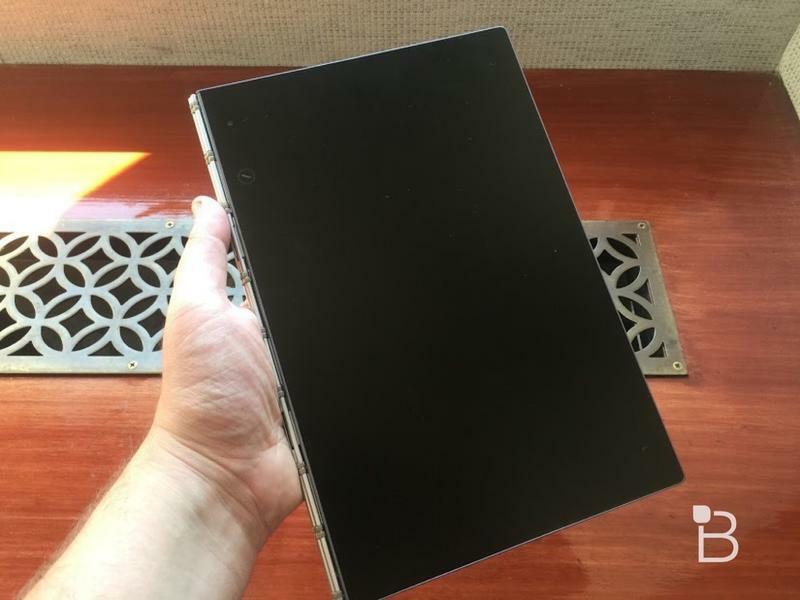 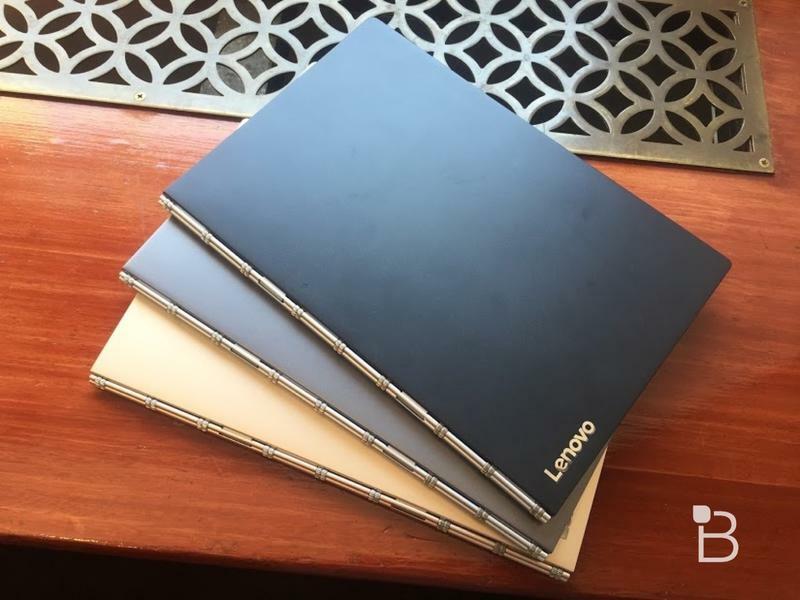 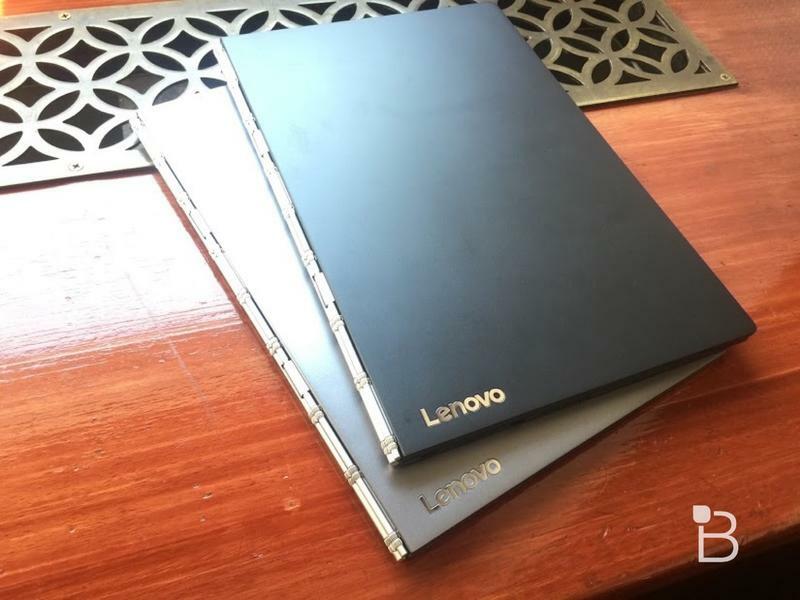 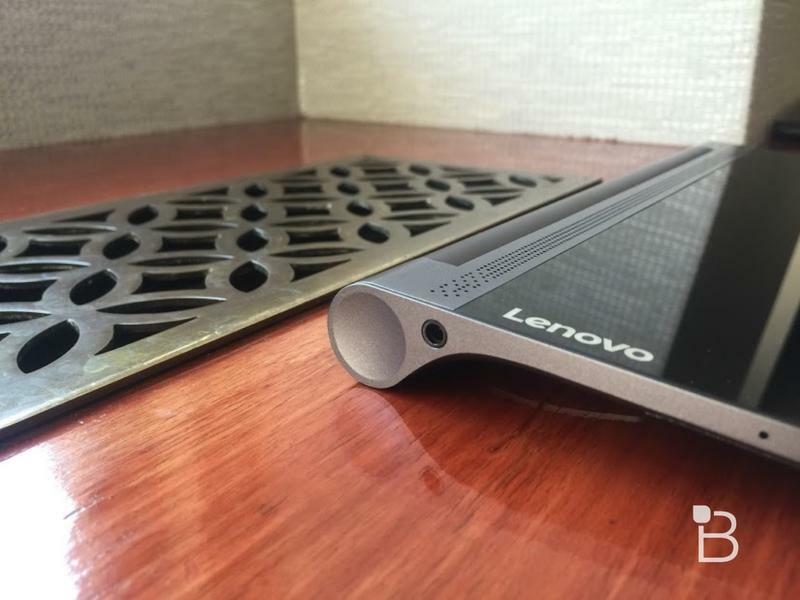 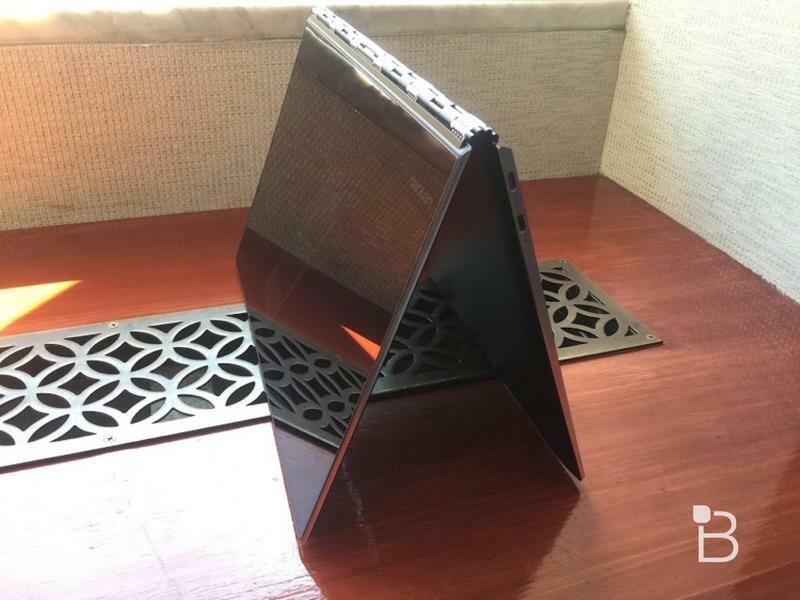 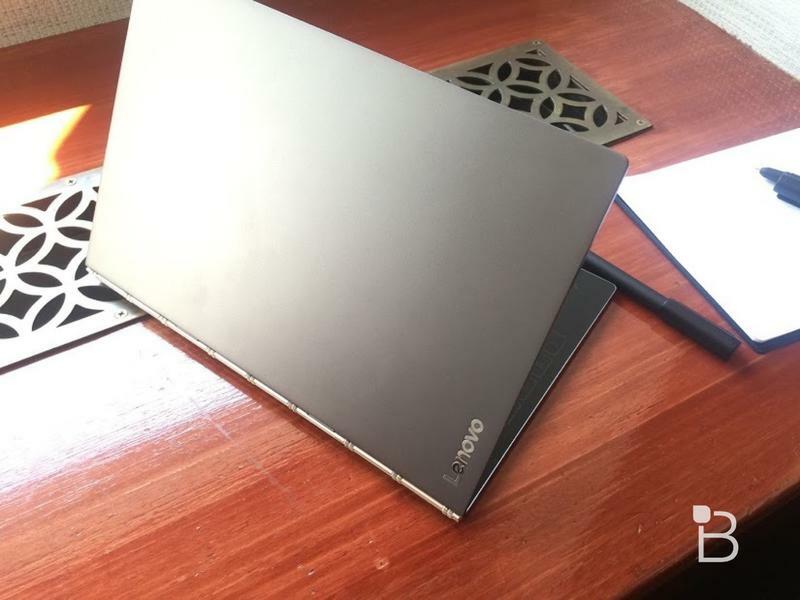 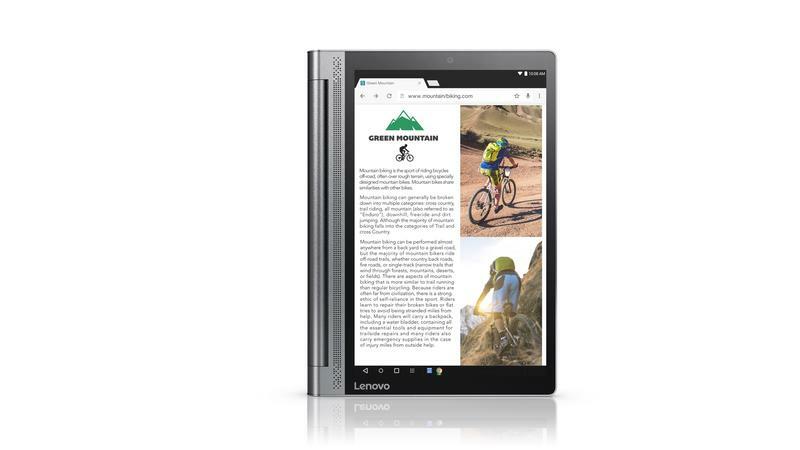 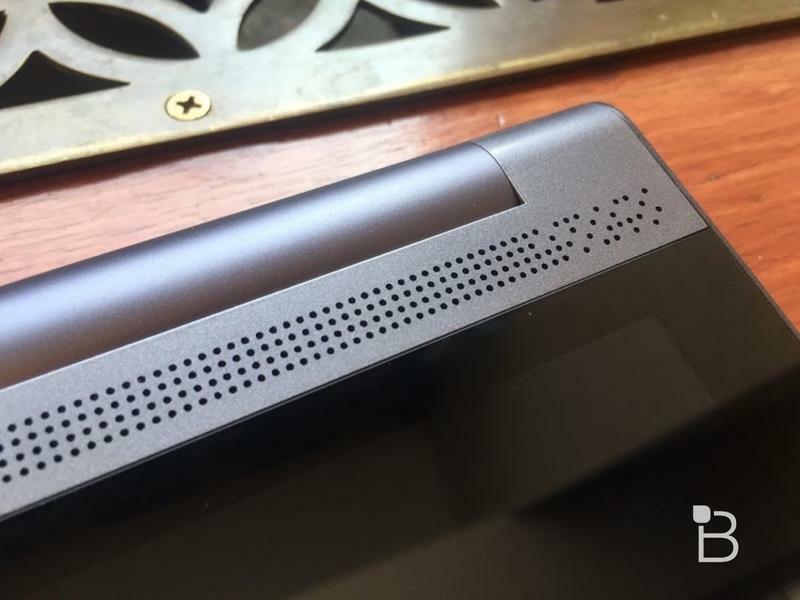 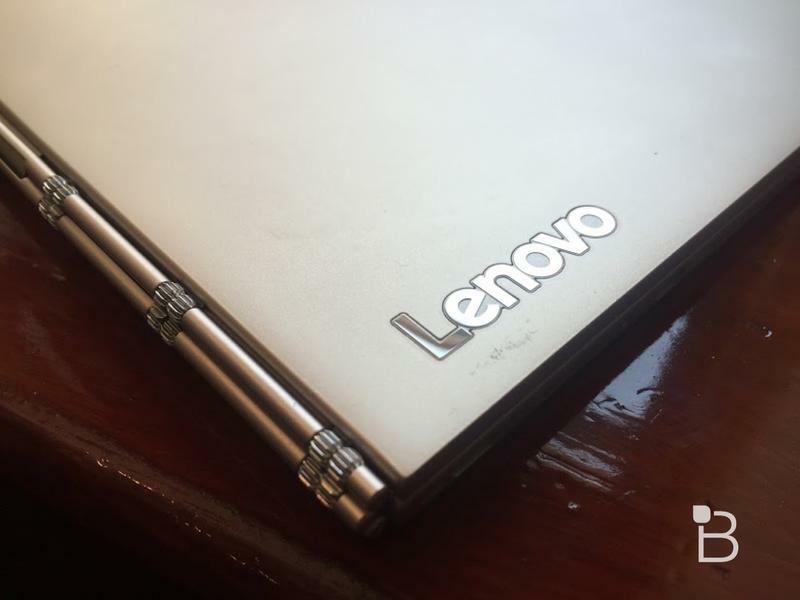 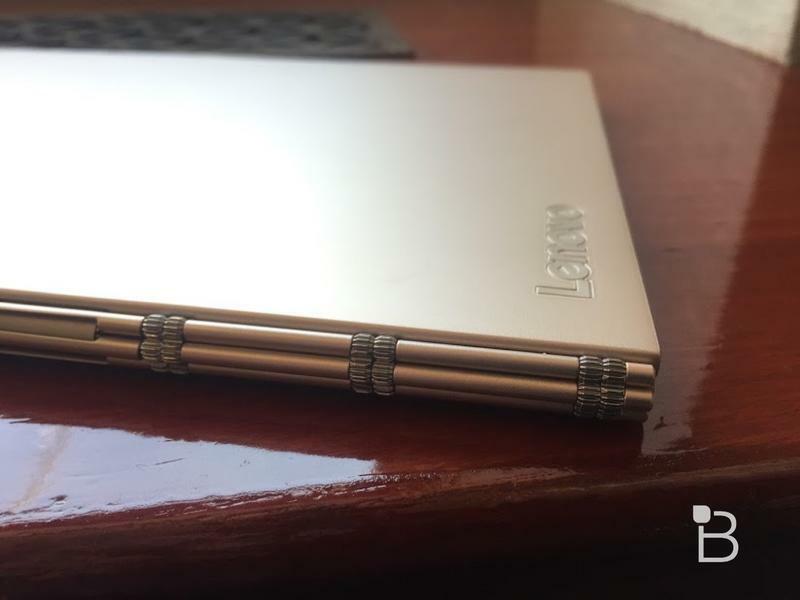 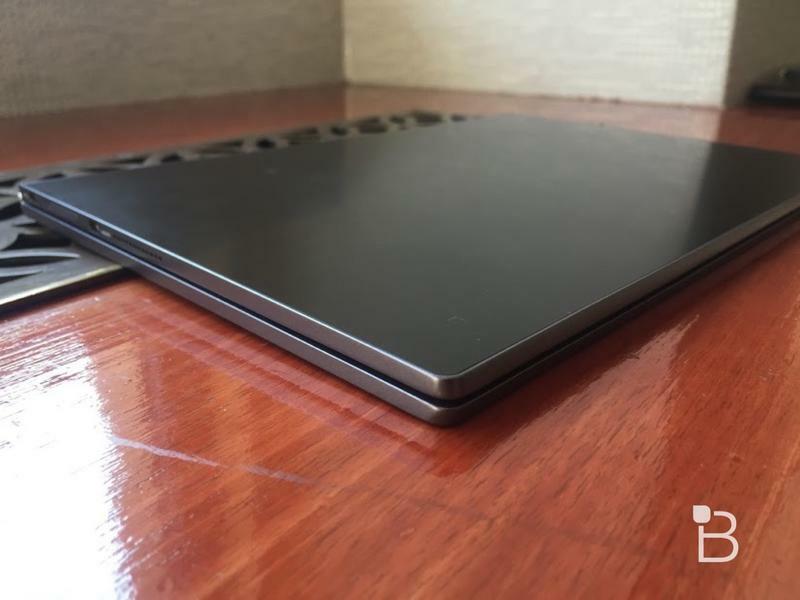 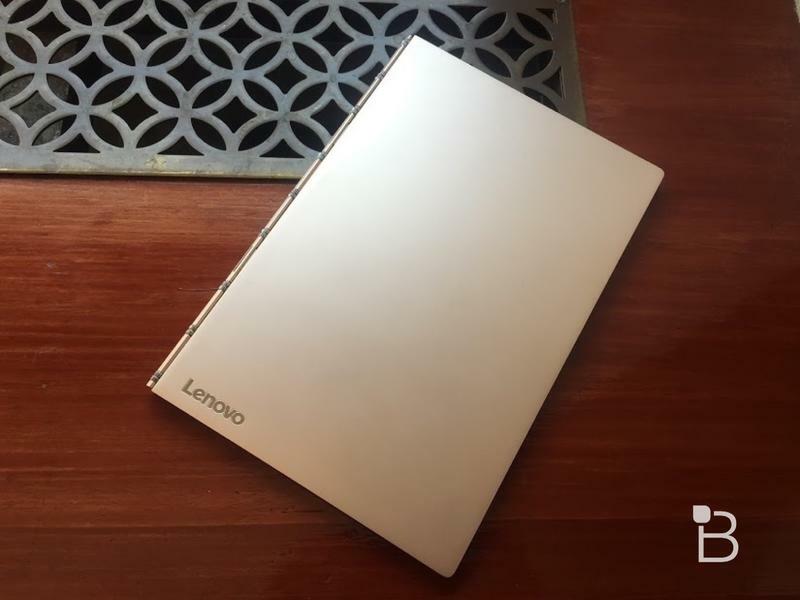 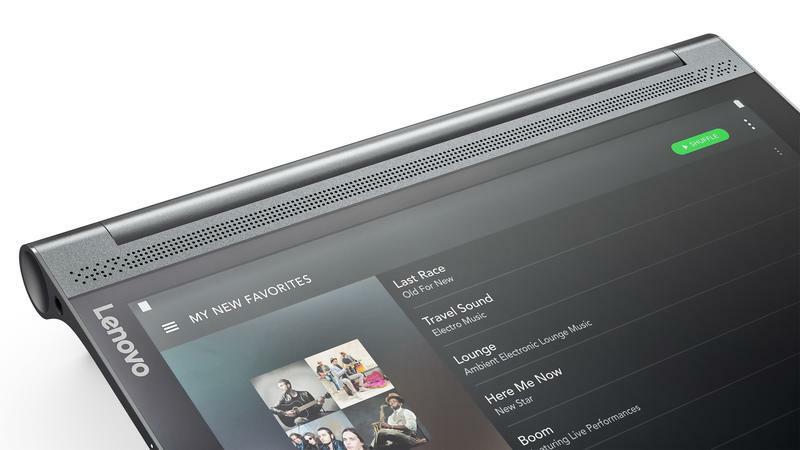 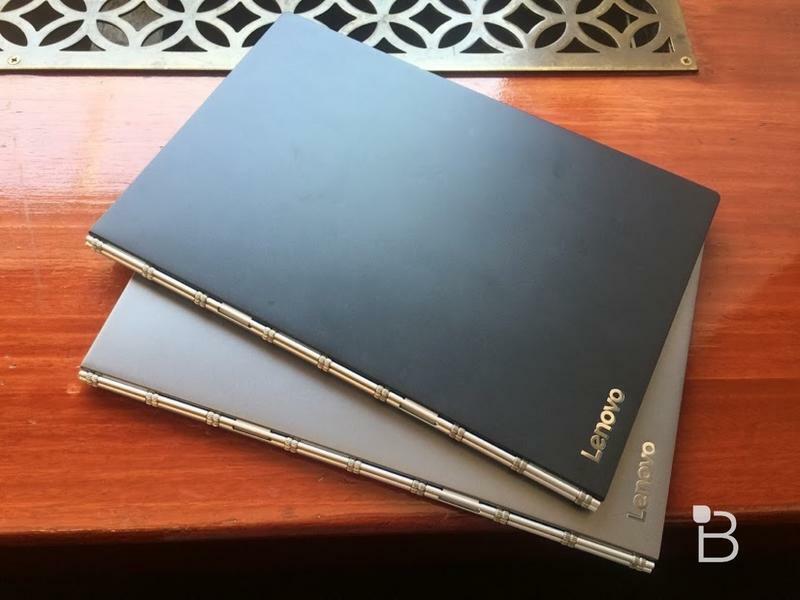 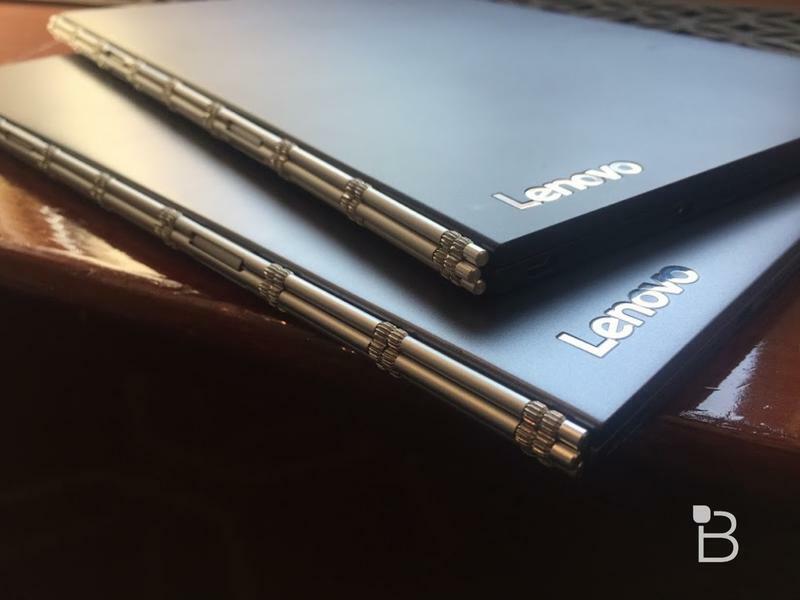 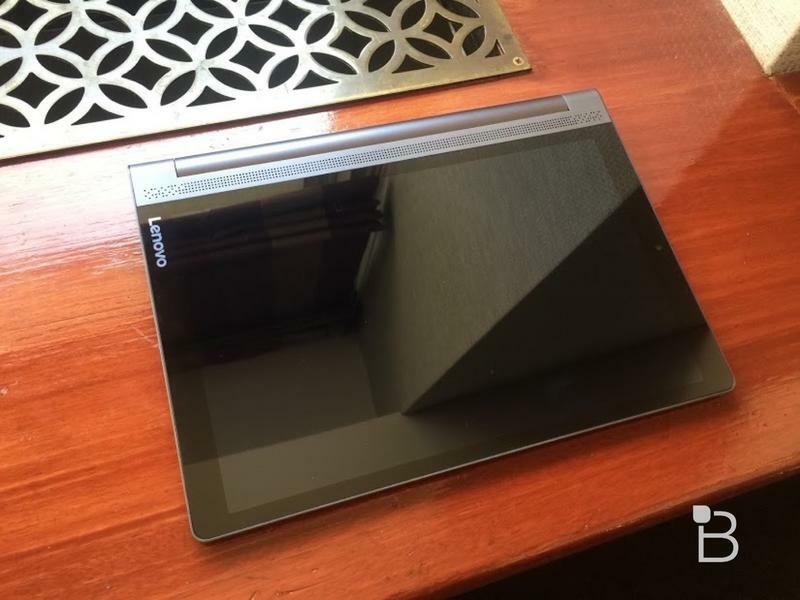 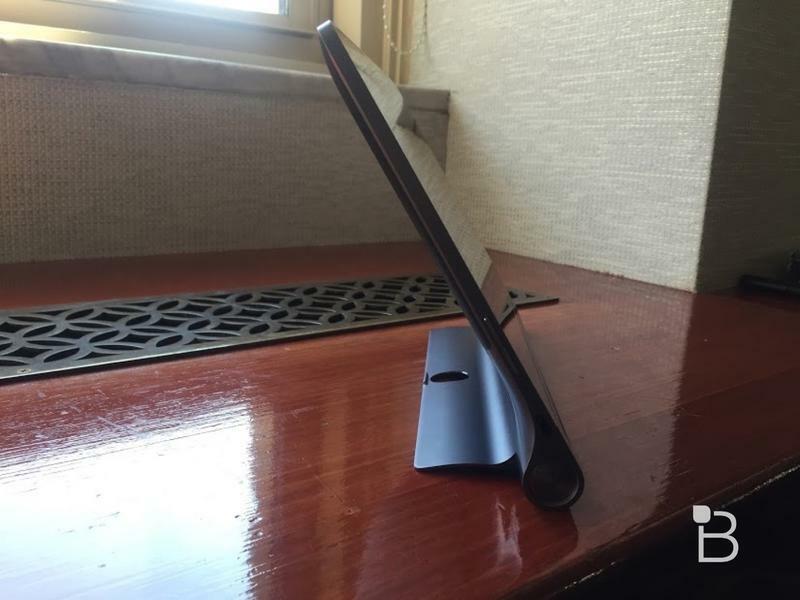 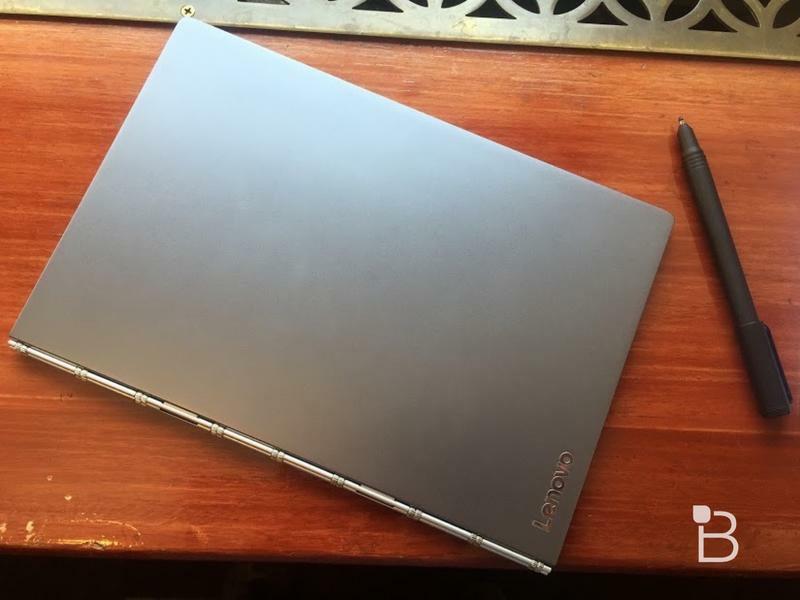 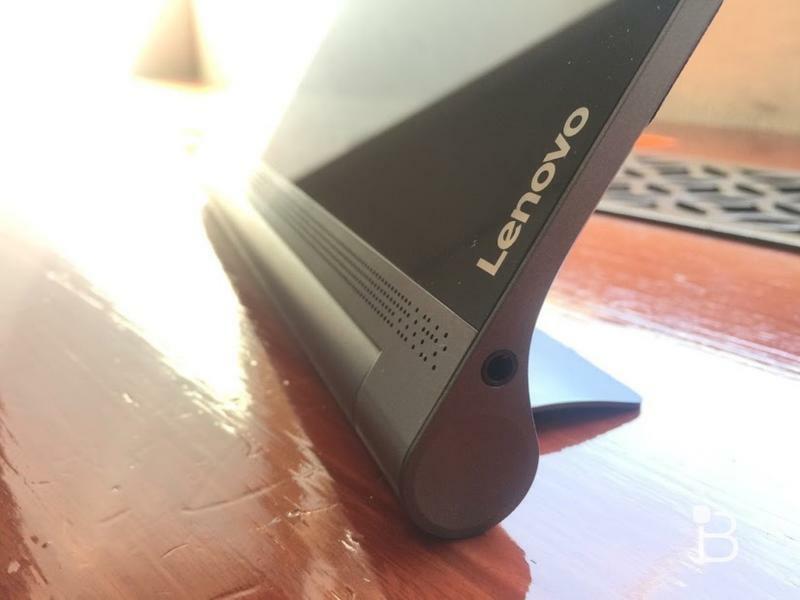 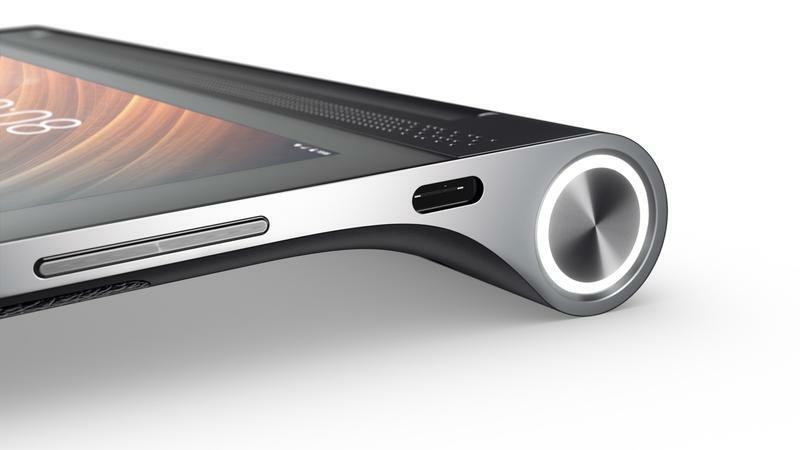 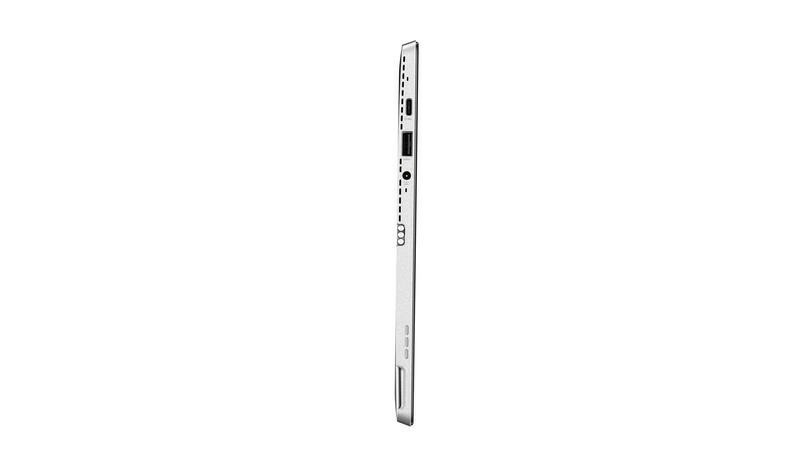 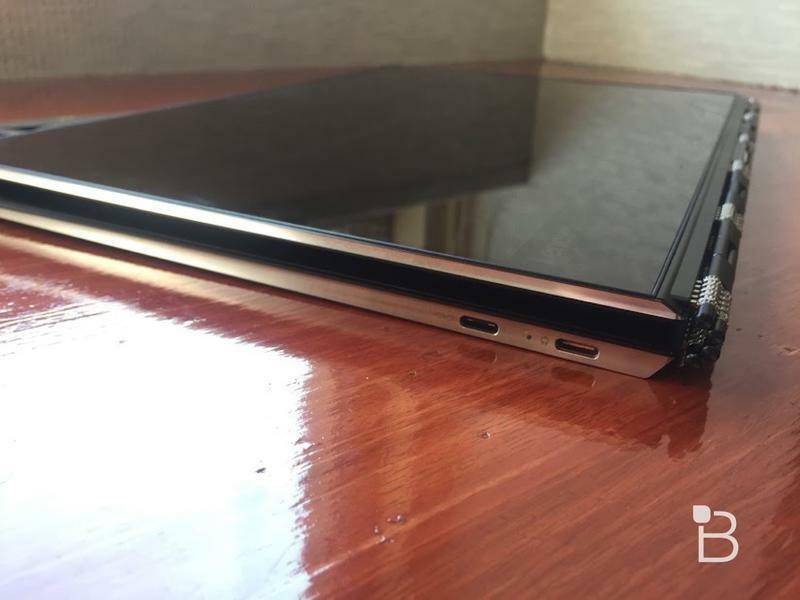 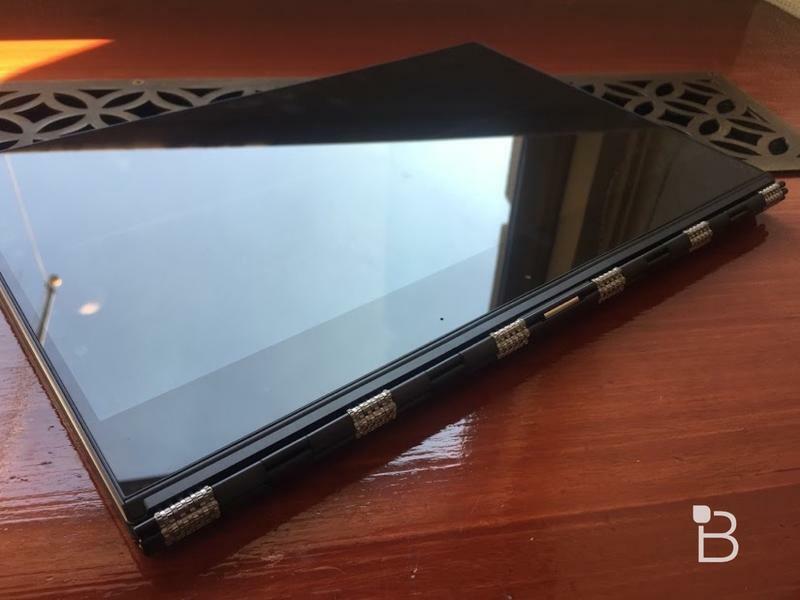 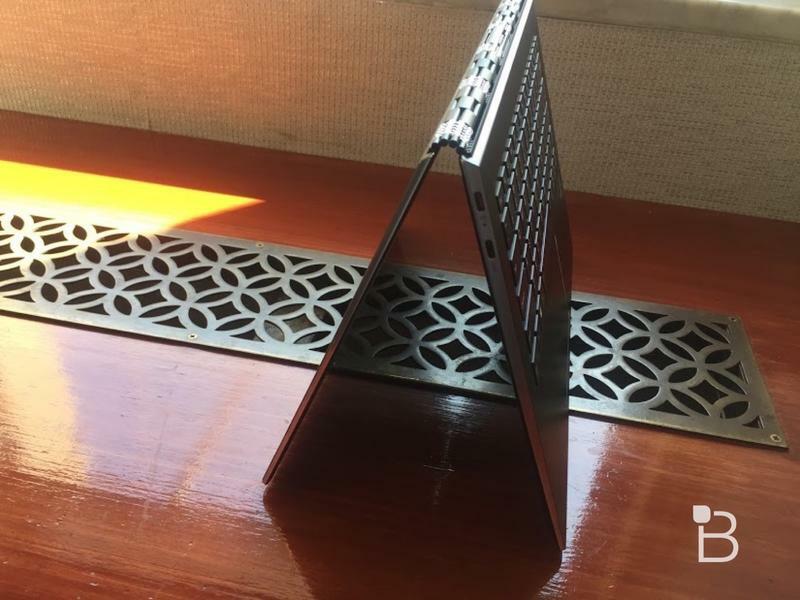 It’s a sleek metal tablet with a built-in kickstand, though Lenovo added its watchband hinge into the design to help distinguish the device. 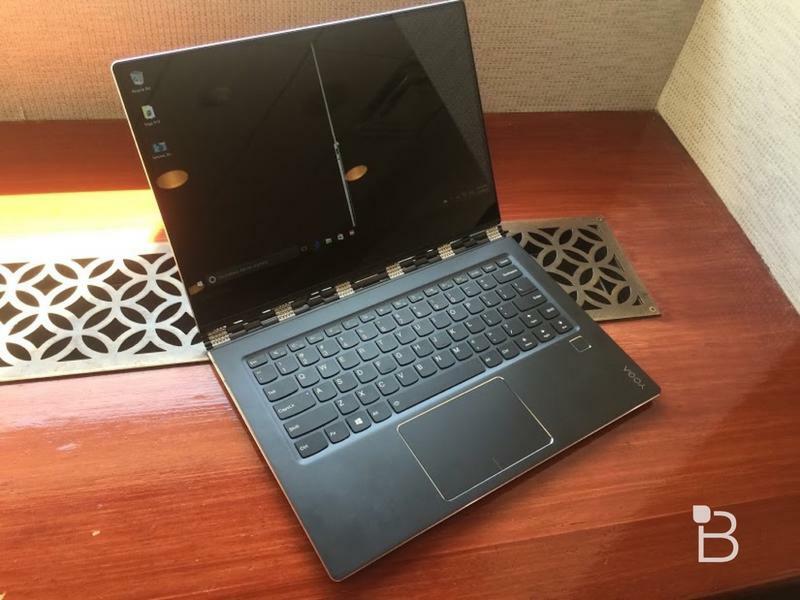 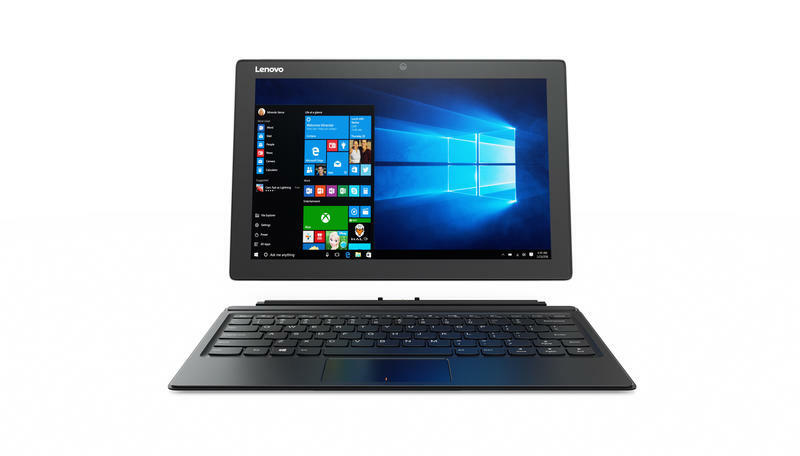 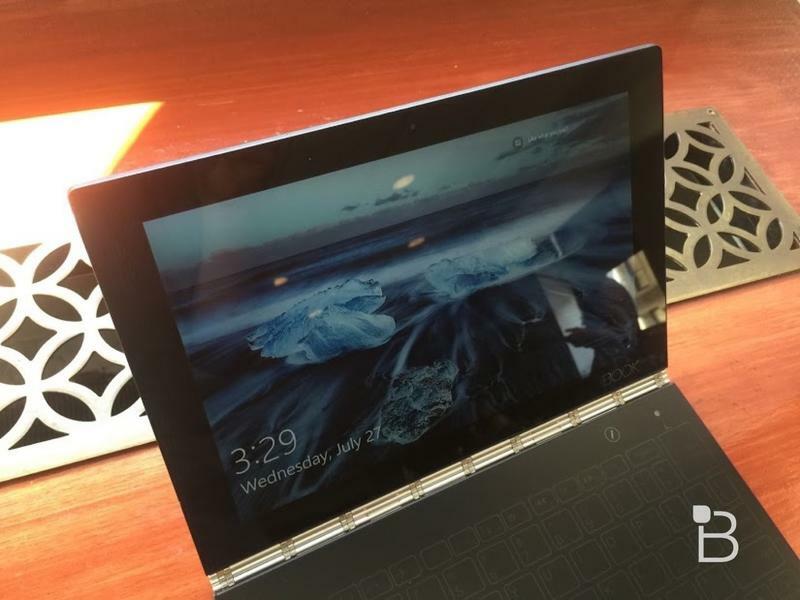 It also packs a 12.2-inch display, a 7.5-hour battery, a 6th generation Core i7 chip and runs Windows 10. 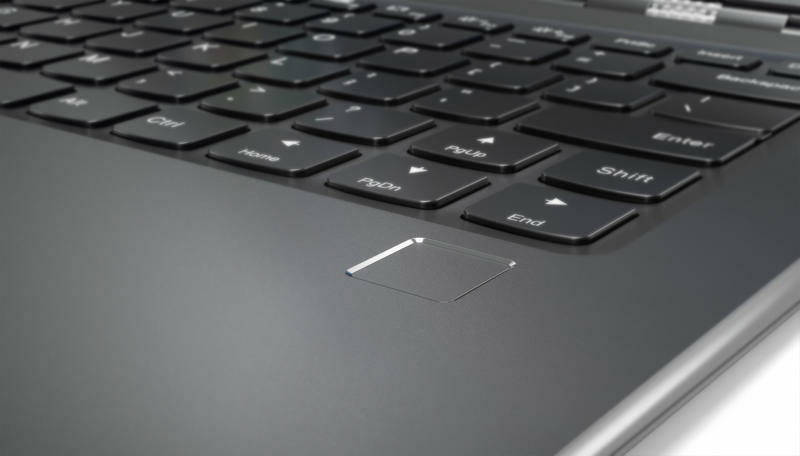 The Mixx 510 launches in October. 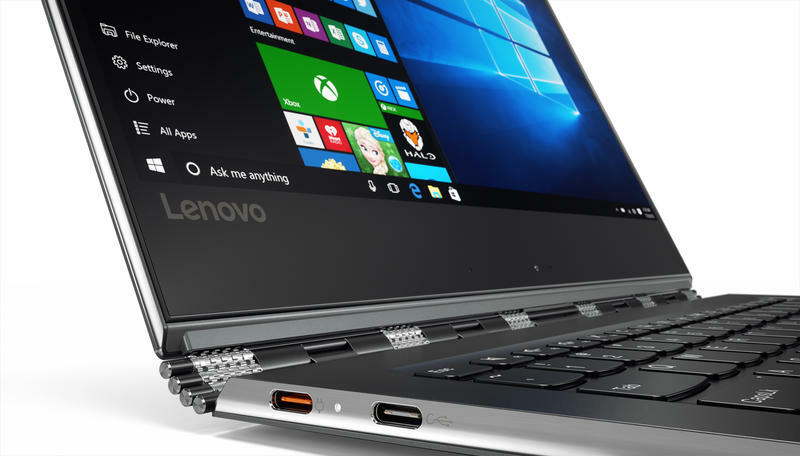 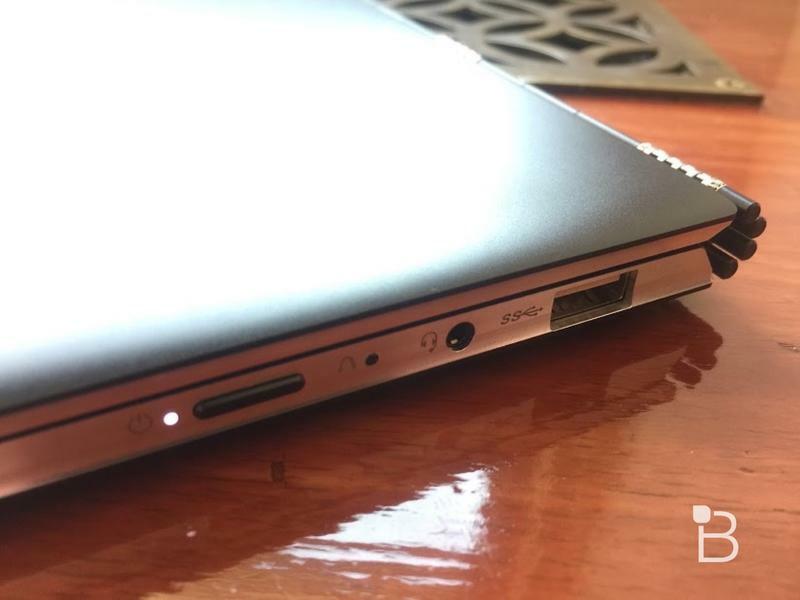 It starts at $599, though Lenovo is offering the option to upgrade to a whopping 1TB of storage and add LTE support for a higher price.